Looking for inventive ways of stretching your pupils to develop their coding skills? 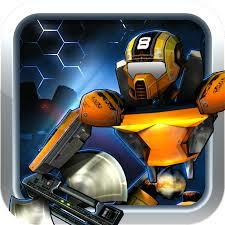 Hakitzu is a great game from Kuato Studios which puts you in control of robots during combat. The studio have been running a brilliant 100 Hours of Code programme – visiting schools and using their game to show pupils and teachers how fun coding can be. And it is fun!! A great dropbox for Hakitzu resources here – lots of ideas here! Posted by RS on May 30, 2014 in Apps, Teaching and Learning and tagged app, code.